Super offer : Buy 5 Orders and Get 1 free! 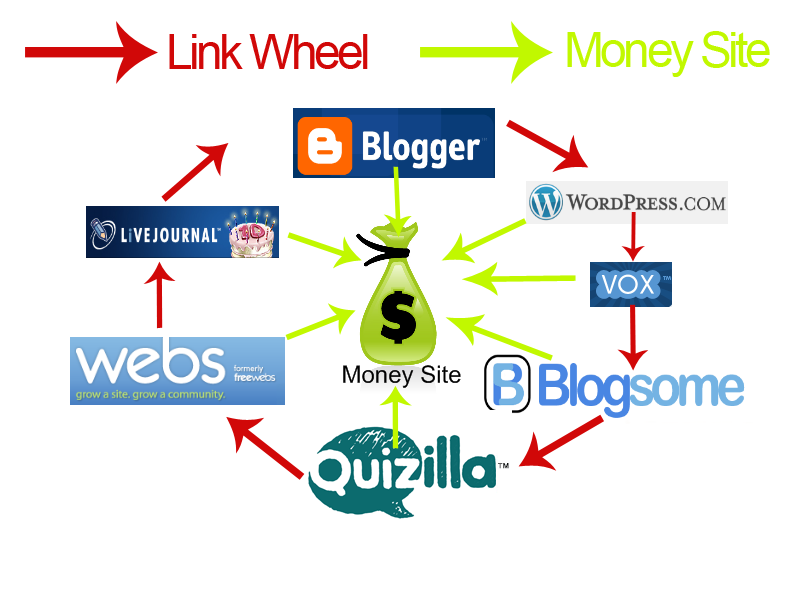 A Link Wheel is the ultimate in backlink power! I will create new blogs on 6 different High PR platforms, using your keywords to add unique text and relevant images about your preferred keywords. Each blog will connect to the next one, passing juice around the wheel, and also connect to your website. This funnels a huge amount of backlink power from Weebly, Webnode, Yola, Shutterfly, Blogspot and Wordpress to your site. You then have the option to add 2,000 social bookmarks, to power-up the linkwheel. These will be Tier 2 bookmarks pointing to the blogs. See the Gig Extras to add this. All links are DOFOLLOW. The Link Wheel guarantees supreme power!